Send your friends and family a Toronto postcard they will proudly display! 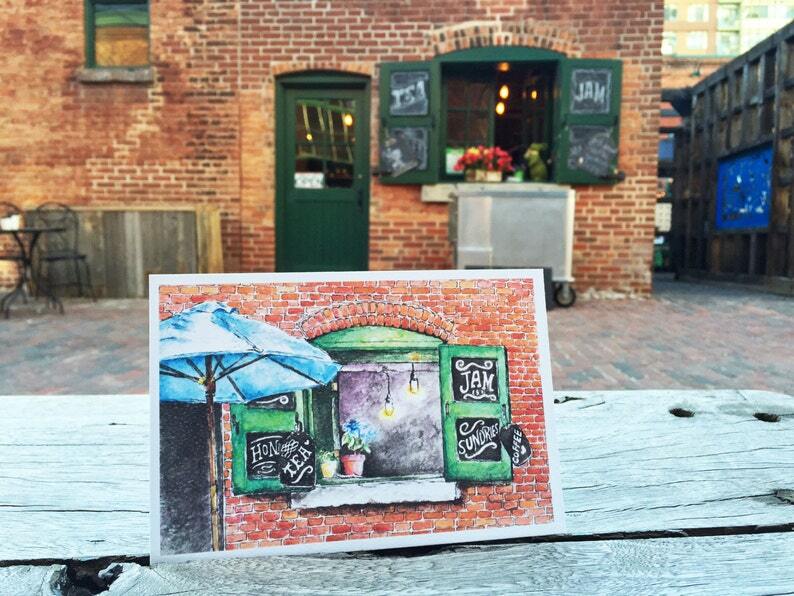 This postcard showcases a boutique shop in the Distillery District of Toronto. Postcard measure 4” x 6” and are professionally printed on thick 110 lb. VIA Felt card stock with a textured finish. Packaged in a clear acid-free sleeve and shipped in a sturdy mailer.